HYDE — The Mifflin County Major Division Little League softball team plated six runs in the third inning of Friday’s District 5 title game, and held off a late Clearfield-Curwensville rally to win the championship 11-7 at the Bison Sports Complex. The game was a stark contrast to Thursday’s match-up between the teams, which CF/CV won 3-2 to force Friday’s contest. “Tonight, the difference was our hitting was just much better,” Mifflin County coach Casey Yoder said. “The girls were more confident at the plate. We had more solid hits that were able to drop in, compared to last night. Instead it was CF/CV that had trouble with miscues. 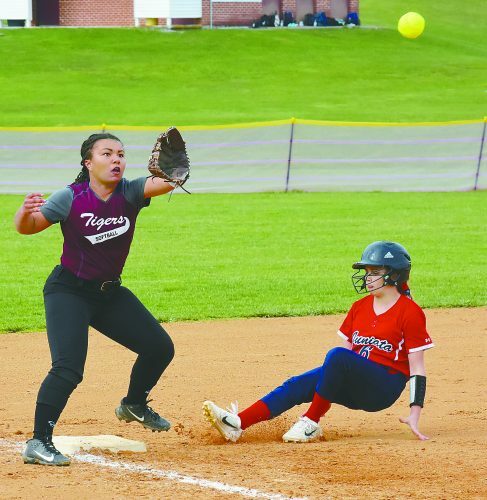 Mifflin County scored an unearned run in the first inning due to an error and four of the six it plated in the third were unearned — thanks to three more CF/CV errors. 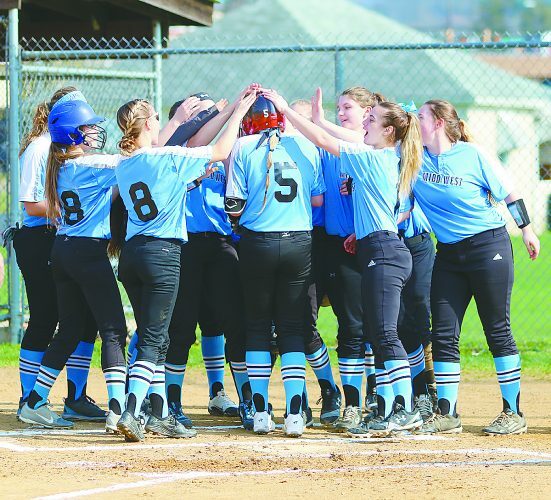 Mifflin County also rapped four hits in the six-run inning, including an RBI double off the bat of Kenna Yoder and a run-producing triple from Alaina Sharp on the way to a confidence-boosting 7-0 advantage. Mifflin County added to its lead in the fifth when Katey Riden’s two-out single plated Sharp and Rachel Saldubehere, who each had base hits earlier in the inning. Meanwhile, Mifflin County pitcher Arika Henry was cruising. She tossed 4 2/3 innings of no-hit ball before Alaina Fedder got to her for a two-run double with two out in the fifth inning. Lauren Davidson and Eva Bloom, who both drew walks, scored on the play. Henry had six strikeouts in the first four innings — including the side in the second — and finished the game with 10. Her defense was also solid behind her, making just two errors that led to one unearned run. Yoder had high regards for his pitcher. 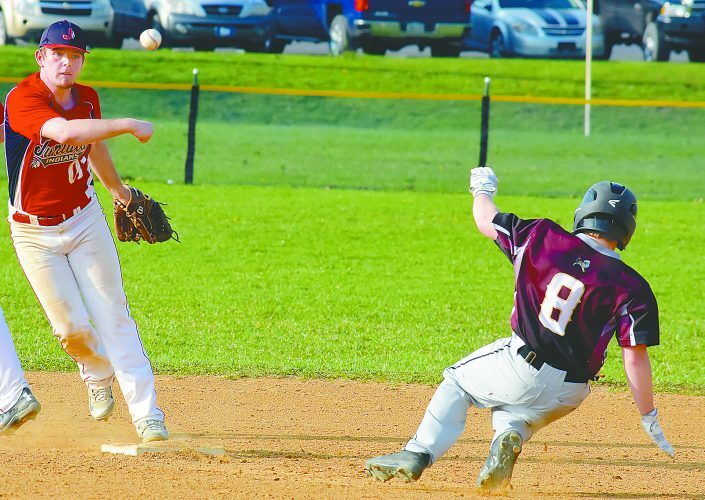 After Clearfield tried to claw its way back in the game in the fifth, Mifflin County tacked on a pair of insurance runs in the top of the sixth. Henry led off with a walk and Yoder followed with a base hit before Alexis O’Brian doubled to plate them both, giving the visitors an 11-2 lead. Yoder, Hershberger and Sharp each had two hits for Mifflin County, which collected 12 in the game. Henry looked to make quick work of CF/CV in the bottom of the sixth, notching a pair of strikeouts against the first two batters of the inning. But Marlee Gasper started a big rally by drawing a walk off Henry and stealing second. Lucy Billotte followed with an RBI single to make it 11-3. After a Davidson base hit, Natalie Wischuck was hit by a pitch to load the bases for Bloom, who drew a walk to knock in Billotte. Bloom walked three times in the game and scored two runs. Fedder made it even more interesting when she singled to right-center field to plate Davidson and Wischuck. Bloom got caught in a rundown between second and third on the play, but Mifflin County made a throwing error trying to get her out and she scored to make it 11-7. But Henry was able to put the fire out with her tenth strikeout of the game to end it. 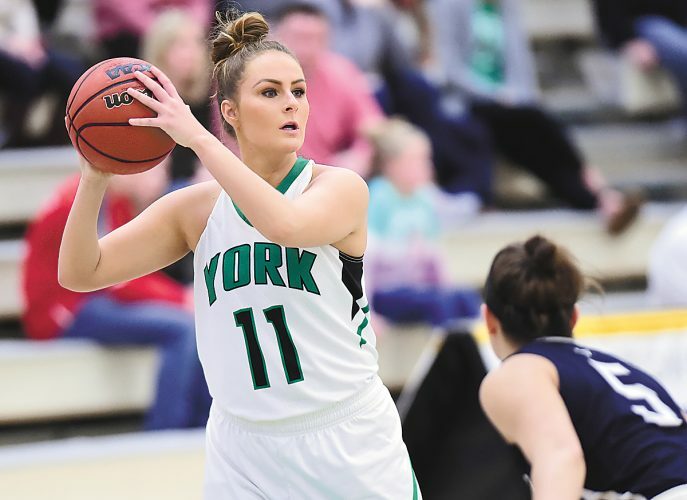 “She was getting tired and the nerves were setting in as it was for the rest of the girls and a couple mistakes happened,” Yoder said. “But they were able to pull through and get the win. Mifflin County moves on to the sectional tournament, while Clearfield-Curwensville ends its tournament run with a 3-2 record.